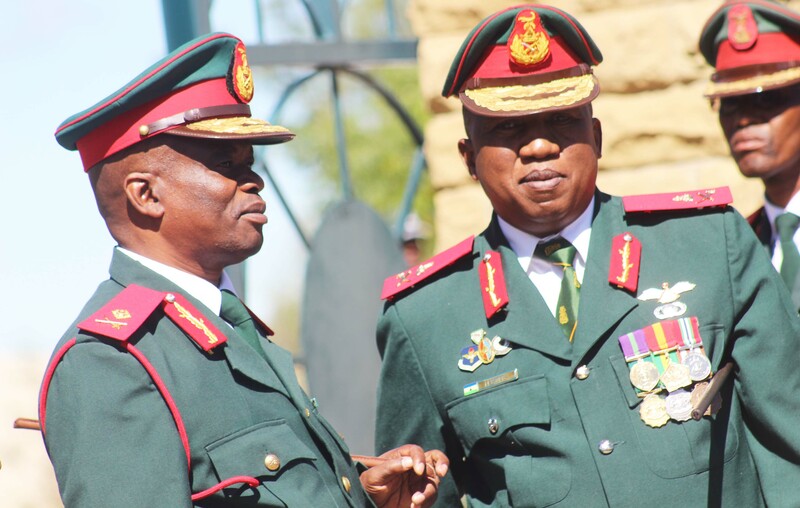 Accept my sincere congratulations over your well-deserved and merited appointments to the command of the Lesotho Defence Force (LDF) as commander and deputy respectively. You are two accomplished soldiers who fully deserved your appointments. At least the process of restoring the confidence of the nation into the LDF has now begun in earnest. There is a long way to go however. It goes without saying that if there is still any member of the LDF who bears allegiance to that son of Satan, Tlali Kennedy Kamoli, that soldier must be fished out of the army, suffocated and thrown into Mohale dam. We need a clean break from the past. We need a clean, professional and duty bound army that will act in the best interests of Basotho and help fight crime. We don’t need an army that perpetrates crime. Kamoli had turned the LDF into a thuggish militia to promote and kill enemies of his political benefactors; Methotjoa Metsing and Pakalitha Mosisili. This nation suffered immensely. The two of you must also have suffered immensely under Kamoli. Ntate Matobakele is known to have escaped into exile to escape Kamoli’s murderous clutches. The suffering of all the families whose members were either murdered or seriously injured at Kamoli’s behest are well documented. If ever there was a scumbag who deserves to be occupying the tiny space that he is now occupying at Maseru Central, it is Kamoli himself. Fortunately, what goes round always comes round. The spirits of Mahao and all those who perished under Kamoli are fighting back. As accomplished military men, you will know that one of the basic tenets of military training on explosives handling is that once you step on an anti-personnel landmine, you should not move at all. Any slight movement will trigger the bomb to explode. Once the bomb explodes, it throws you into the air whilst digging a hole (or grave) into which you will fall and the soil suddenly buries you. 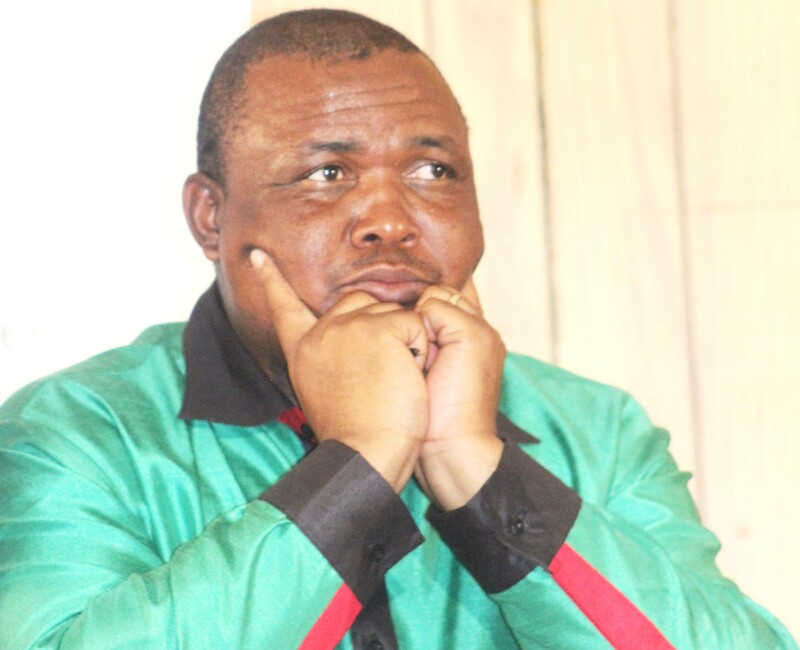 Kamoli thought the murder of many innocent Basotho, while his political superiors (Mosisili and Metsing) looked away, was the defining character of a commander. Power got into his head. In reality, he was making his own landmine and stepping on it. The landmine has now exploded and he is about to fall into the crater it carved upon explosion. He must now be permanently buried into that crater. His recklessness proves that he was not a soldier after all. He was a common criminal who was fortunate enough to be appointed commander. Instead of using the position to build for himself an elegant profile of a professional soldier, he converted himself from being a common into a career criminal not afraid to murder or instruct his flunkeys to murder on his behalf. 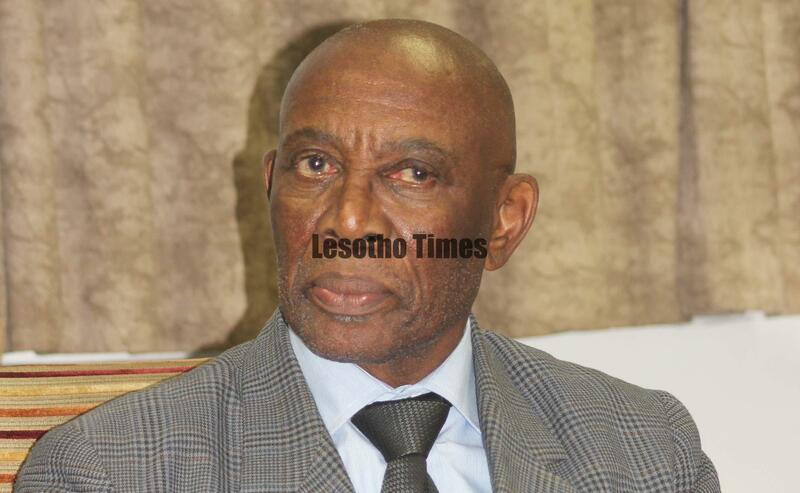 We at the Lesotho Times are still suffering from the atrocities of this man. The life of our editor, Lloyd Mutungamiri, was destroyed. How does any right thinking person commit murder over a newspaper article? That’s Kamoli for you. On top of that, he has even the temerity to sue us for defamation after we published a SADC report which alleged that he could have conspired in the murder of your predecessor, Ntate Motsomotso. We hope he will pursue his defamation case from Maseru Central. We are salivating at the prospect of meeting this uncouth murderer in court. We don’t believe that SADC were wrong in their suspicions. After all we are herewith dealing with a murderous thug. All I am saying bontate is that your appointments are a major relief. At least with Lineo Poopa gone, there are no longer any Kamoli acolytes at the helm of the LDF high command. If you can scout and weed out Kamoli’s remaining acolytes in the lower ranks, then you would have done the Basotho nation a huge, huge favour. Still there are many great challenges that awaits you. The greatest challenge is to safeguard the status quo. By this, I mean that we need Ntate Motsoahae to remain in power for as long as possible. I don’t have to tell you what will happen if Ntate Mosisili returns to power. He will pull another Maaparankoe scenario. He will come up with crazy legal arguments to nullify your appointments. He will then fire you from the high command of the LDF. If Kamoli has not been hanged by then, he will be returned to lead the LDF. If he is not appointed commander, over fears that America will throw us out of AGOA, Kamoli will be given some rearguard role in the security forces. That is exactly what bontate Mosisili and Metsing did after retiring Kamoli from the LDF on 1 December 2016 under pressure from the Americans. They kept him in the army and continued paying him lavishly including squandering our hard earned taxes on Kamoli’s many bodyguards. When that happens. In other words, if Kamoli is returned in any capacity, the reign of terror will not only resume in earnest. The entire Basotho nation will be exterminated. Kamoli will not even send his acolytes to kill. He will do the job himself. He will virtually move from door to door killing. As for lady Scrutator, I think he will try to bury me alive. So Kamoli must never go back to the army. He must never go back to his house. He must never go back to his village. He must never walk our streets again. He must be convicted hanged and his body thrown into Mohale dam. That will of course be unfair for the trout fish in the dam. But this man deserves to suffer the same fate he forced on others. He is evil. With Poopa gone, can you please cooperate with the policy to ensure that Kamoli’s dockets are finalized and his trials begin? The last thing we want is for him to end up getting bail because of lawyer spin that he would have been detained for long without the state setting a trial date. Please assist in ensuring that Kamoli goes on trial and that this nation sees his back. When he is convicted and hanged or given a lengthy jail term, may I suggest you give me the keys of his prison for safekeeping. I will keep them in safe custody in far flung Qacha. The second greatest challenge is of course to account for all those missing arms and weapons as reported by SADC. You have to ensure that these weapons are traced and found. If Kamoli gets bail, or if he escapes from prison, you can be rest assured that these arms will be used by Kamoli to commit murders on an industrial scale. If he gets bail, he will never stand trial again. He will rush into the mountains to commit his murders from there. Alternatively, he will operate from Thembisa, where no one will ever catch him. He will do what his partner in crime Mokhosi did; flee. There has been no political killings since Ntate Motsoahae returned to State House. That is a development to be applauded. It also proves Basotho voted a good man into office. However, murders are still continuing. These are criminal murders from Basotho who took their cue from Kamoli. Lesotho used to be a very peaceful nation. But once Kamoli was given the greenlight to embark on assassinations, it seems everything changed. I am appalled at the reports of the ubiquitous cases of women and child abuse. I am appalled at the ever increasing numbers of killings of civilians by other civilians. 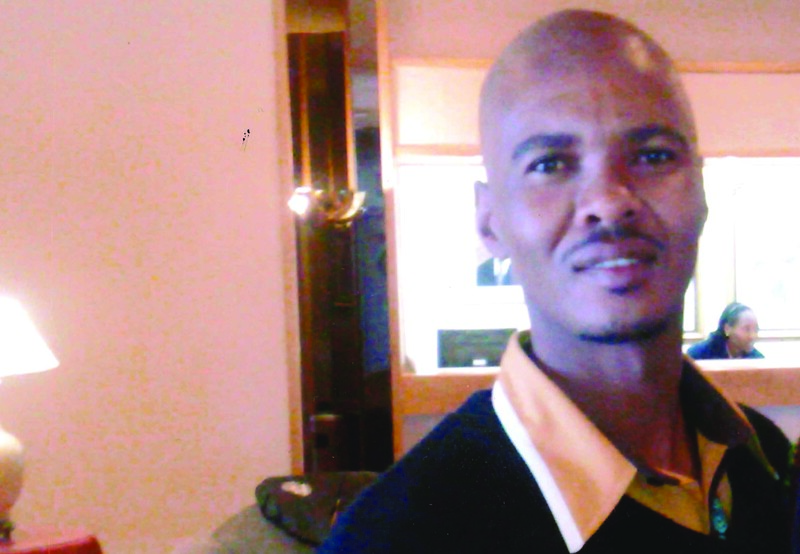 You might have read in our last editions the despicable burning of a child and killing of a woman by one murderer by the name Lebohang Nkuebe. 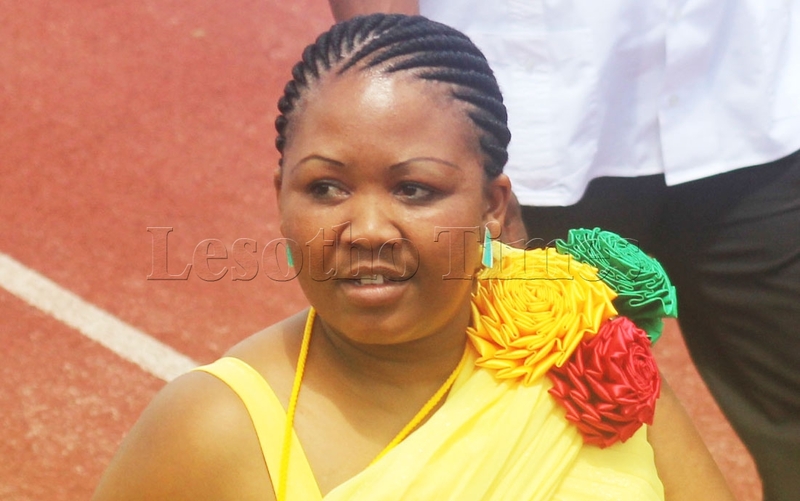 We highlighted that story as a microcosm of the rot that has set into the Basotho nation. Bontate can you please step in. Can you assist in crime-prevention and stop these civilian murderers who seem to have taken their cue from Kamoli. Can you also please ensure that Ntate Motsoahae rules for as long as possible? And if his current coalition collapses and we go to elections again, may you please assist in ensuring that he returns to power. This nation is at a crossroads. It needs to move on. A return of Mosisili must be avoided at all costs. Otherwise we are finished. Can you imagine that Ntate Mosisili wants SADC troops to leave . Can you imagine that he wants all the LDF rogues who committed murder and mayhem to be pardoned? This man had gone bonkers. He never suffered the pain we feel at having our loved ones killed or injured in attempted assassinations. He has in fact become soulless. He must be stopped from ever returning to power. Bontate, your appointments have given us hope. I have read Lt-Gen Letsoela’s interview published elsewhere in this edition as the main lead story. It is soothing to read such a re-assuring story from a professional commander. I have noted that Ntate Letsoela says 90 percent of the arms that disappeared have been accounted for. Please ensure that all of those arms (100 percent) are fully accounted for. We cannot afford to have a single arm missing. Every rifle must return to the armory. It’s quite refreshing to note that you want to return the LDF to civilian authority. That’s is how it ought to be bontate. We cannot have a situation wherein the LDF becomes a law unto itself and commits murder without restraint as it did under Kamoli. I enjoyed reading your story in this newspaper Ntate Letsoela. You are a professional man. Please bontate, save us from Kamoli, Mosisili and Metsing. We must never see this dangerous triumvirate ever again. I wish you all the best during your long tenures at the helm of the LDF. It also helps that both of you are immensely handsome. It’s a plus for us to have pretty commanders in both looks and deeds. Congratulations to the new leaders of “Pondoki”, according to The Hounarable Thomas Motsoahae Thabane!! Anyway, Mr Matobakele, how many KOBO guys will be recruited into the the Pondoki LDF to turn it into Tom’s militia? They guarded you and your boss in exile, you have to return the favours! Or what, you are going to pay them off by supplying them with arms paid by Lesotho government? I have no intentions to attack you at all! I hope you are a concerned Mosotho trying to find hope in a hopeless situation, not a very biased and subjective individual. I also think your comments are based on bias and mistreatment you endured by the previous army leadership. The only hope I have, is once the LDF is independent and lead by clever people that cannot be politically biased. Else, we are still in the same mess in a different shape or colour. And, in this case, Mr Matobakele is a clear candidate that owes his full loyalty to Tom and not the country. How will he achieve our ultimate wish, of an apolitical LDF leadership?